Air Warfare Destoryer HMAS Hobart is fitted with the Aegis CMS. Image via Commonwealth of Australia, Department of Defence. The national auditor has warned that the integration of the Aegis Combat Management System (CMS) on Australia’s Future Frigates carries extreme risk and developmental work. In its latest report on the government's $89 billion Naval Shipbuilding Plan, the Australian National Audit Office (ANAO) has cautioned against the government's announcement last year to fit Australia's Future Frigates with the Lockheed Martin Aegis CMS with and Australian tactical interface to be developed by SAAB Australia. The system is designed to simultaneously attack land targets, submarines and surface ships while automatically protecting the fleet against aircraft, cruise missiles and ballistic missiles. At the time of the announcement, Minister for Defence Marise Payne said as rogue states continue to develop missiles with advanced range speed, this decision will maximise the Future Frigate’s air warfare capabilities and enable these ships to engage missiles at long range. "The Future Frigates will be operating in a complex and growing threat environment," a joint announcement from Minister Payne and Prime Minister Malcolm Turnbull said. "By bringing together the proven Aegis system, with a cutting-edge Australian tactical interface developed by SAAB Australia, our Future Frigates will have the best capability to defeat future threats above and below the surface, while also ensuring we maintain sovereign control of key technologies, such as the Australian designed and built CEA phased array radar." But the ANAO slammed the decision and queried the benefit of the government deviating from its commitment to minimising design changes. "The inclusion would require significant development work and be a departure from the government’s guiding principal of minimising unique Australian design changes," the ANAO report said. The ANAO also queried whether the CMS would incorporate the Aegis Ballistic Missile Defense Capability. Defence advised the ANAO in March 2018 that while Aegis has a ballistic missile defence (BMD) capability, it has not been procured as such. "Government made the call to have an Aegis Combat Management System that maintains an option for government to include a BMD capability. 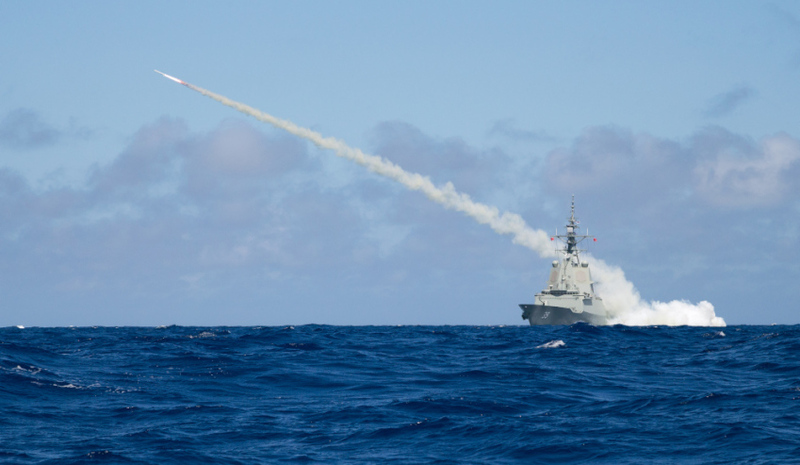 The actual risk level of this decision has always been medium/high, especially based on the Hobart Class Aegis experience already achieved," Defence informed the ANAO. Aegis has also never been integrated into a frigate before, increasing the design and integration risk. The US Navy currently operates the Aegis BMD capability in 33 of its ships, including five guided missile cruisers and 28 guided missile destroyers. The US Navy intends to increase the number of its guided missile destroyers carrying this capability, but has not identified an intention to expand this capability to its frigate fleet. Defence sought to mitigate the concerns of the ANAO, advising them in December last year that it has undertaken multiple studies with the US Navy and concluded the decision to integrate the Aegis CMS with a Saab Australia interface provided the lowest risk to meeting the capability requirements of the SEA 5000 project. "In the period since April 2015, Defence undertook more than 60 studies with the United States Navy (sub-contracting Lockheed Martin), Saab Australia and CEA Technologies to identify the risks and work associated with developing the combat management system for the Future Frigate. The studies were initially to understand what options were available to meet the capability need and later to inform a comparative assessment of the options. The outcomes of these studies and broader information available to Defence were analysed using a risk-based methodology against five key project criteria aligned with the 2015 Competitive Evaluation Process for the Future Frigate," Defence said. "The announcement in October 2017 of an Aegis-based combat management system for the Future Frigate, supported by a Saab Australian interface, provides the lowest comparative risk to achieving the high level capability requirements and five key project criteria." The ANAO report, which warned of high risks, cost blowouts and schedule delays to other major projects, was welcomed by Minister for Defence Industry Christopher Pyne. "While the audit occurred at a very early stage in the mobilisation process, ANAO concludes considerable progress is being made in preparing for continuous Naval shipbuilding and that scheduled milestones for the Offshore Patrol Vessels, Future Submarines and Future Frigates are being met," the minister said. "Building an Australian shipbuilding and submarine industry is a huge undertaking, it’s a nation building project so of course it contains risk. “We make no apologies for deciding to invest in Australian built ships, creating Australian jobs and using Australian steel rather than buying foreign ships off the shelf and using Australian tax dollars to strengthen the defence industries and increase employment and wealth overseas. "It’s the ANAOs job to show where the government can do better and so we thank them for their work."